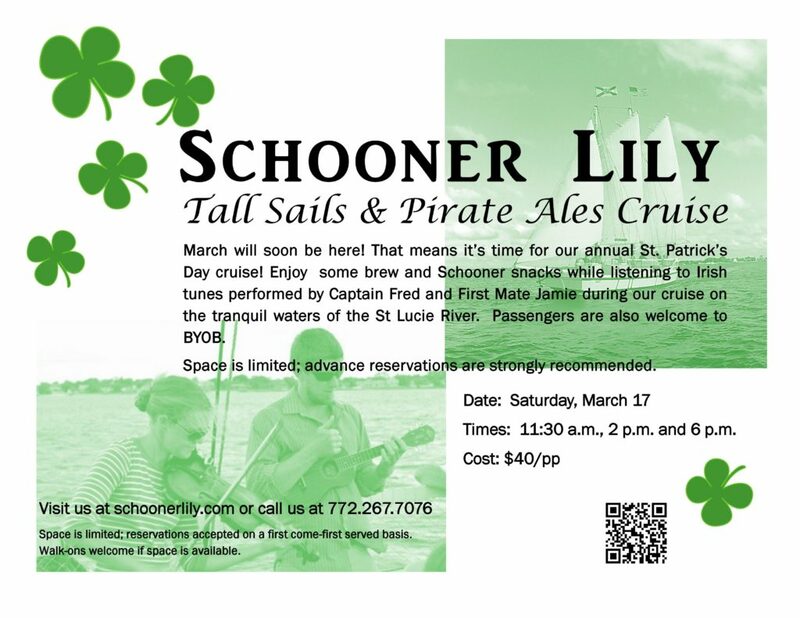 Annual St. Patrick’s Day Cruise on March 17, 2018. As always, Captain Fred and First Mate Jamie will play Irish Music during all sails. Enjoy some brew and Schooner Snacks under sail.